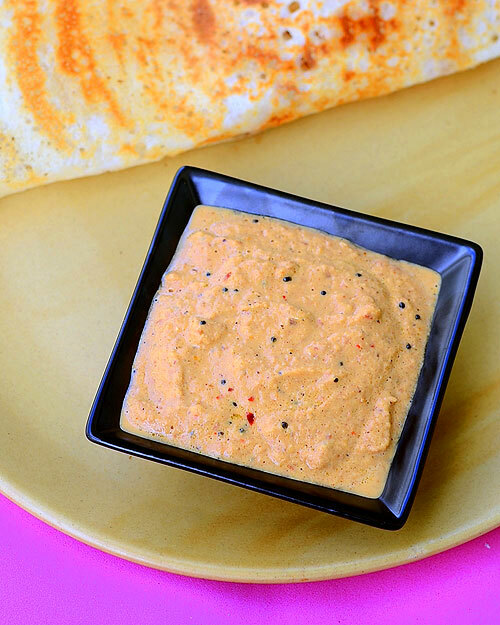 Basically I love to make different varieties of chutney for idli,dosa.So I keep hunting some interesting chutney recipes even after posting 40+ chutney recipes in my blog. 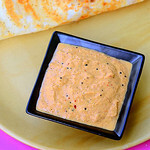 I wanted to make variations in peanut chutney as Sendhil loves peanuts.I have tried Andhra style peanut chutney with coconut & peanut tomato chutney.But Peanut onion chutney without coconut was pending in my list.So I tried it last week for dosa.It was awesome.We all loved it.I am happy to include this yummy recipe in my chutney collection.I have not removed the skin of peanuts in this chutney after reading some health benefits of peanut skin HERE.So this chutney is quick and easy to make.Try this tasty side dish for idli,dosa.You will love it like us.Lets see how to make peanut onion chutney below. Heat 1 tbsp of oil in a kadai and roast the peanuts.After 2 minutes,add the chopped big onion,red chillies,garlic cloves and a pinch of tamarind along with required salt.Saute everything well.Let it cool.Grind it to a smooth paste and temper the mustard seeds,urad dal & curry leaves. 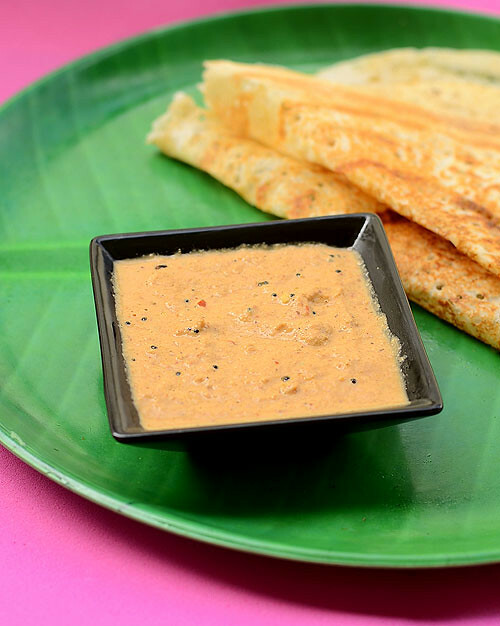 Serve with idli,dosa drizzled with gingely oil. Tempering gives a nice flavor to this chutney.so don’t skip it. 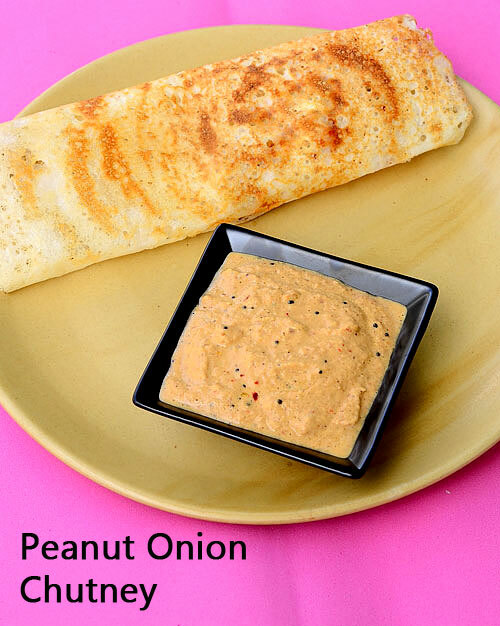 chutney looks yummy adding onions is new to me.Will try this. Hi, can we add coconut while grinding? Yes.u can add.but use less quantity. Hi Im tryg ur chutneys regularly, it was cumg nice.